Learn how to knit this simple and elegant classic cuffed hat in all sizes, using an easy to follow, beginner level free knitting pattern. Winter is coming up and fast and I’m sure you’re already feeling that cold, brisk weather outside. So, we need to take advantage of an opportunity and make some of the most comfortable and cozy hats that would keep us warm during the whole season. That’s why today, I’ve decided to share with you this simple and beautiful knitting pattern for these classic cuffed hats. It is a beginner level, step by step knitting tutorial that minutely explain each and every step of making these lovely hats in all sizes. 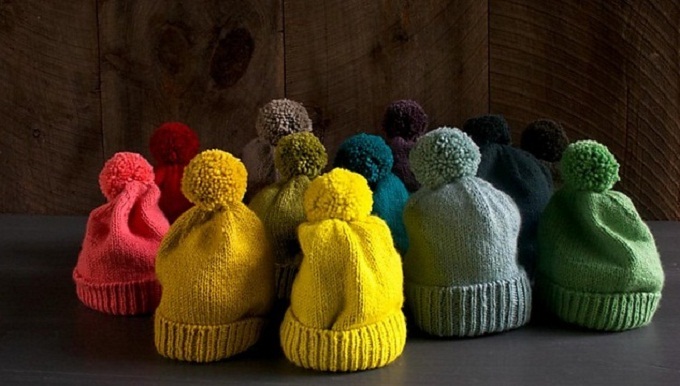 Just download the free pattern, follow the easy instructions and make these colorful pom pom hats for your friends and family members. Please, enjoy your crafting and always feel free to share your opinion and experience with us. Good luck and happy knitting. This is a free pattern by Purl Soho on how to knit these warm and cozy, classic cuffed hats in different sizes. Just follow the easy instructions and make these beautiful hats for anyone dear to your heart.